Baier’s complete line of multi-bolt manhole covers serves as a great inexpensive option for applications where frequent access is not required. Ideal for tank top covers, fuel and water tank access, inspection access to ship voids, barges, sanitary and digester tanks, clean-outs and more. These water-tight manholes feature simple designs and utilize high strength steel. Baier offers a complete line of manholes with configurations and hardware combinations to meet your requirements. 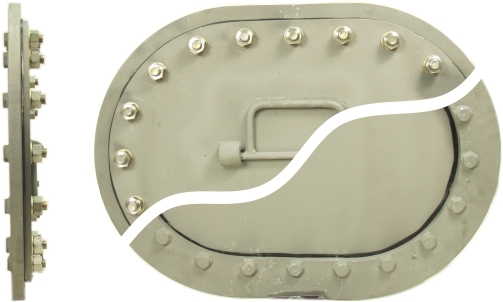 These industry-standard manholes are used on workboats and equipment worldwide. Baier’s simply-designed manholes have served the industrial marine industries for the past 60 years. Baier Offers more many more styles of marine deck closures and scuttles in various materials and styles.